UniChar works with unicode characters and symbols in several ways. But first, what is Unicode? Unicode is a standard way to encode pretty much every symbol that can be typed on a computer. From Chinese symbols to Arabic script letters to pictures and symbols, to Emoji, everything has a Unicode number, and is treated as a unique entity. Apps like UniChar let you browse these symbols and insert hem into standard text fields. UniChar lets you find and insert symbols in several ways. 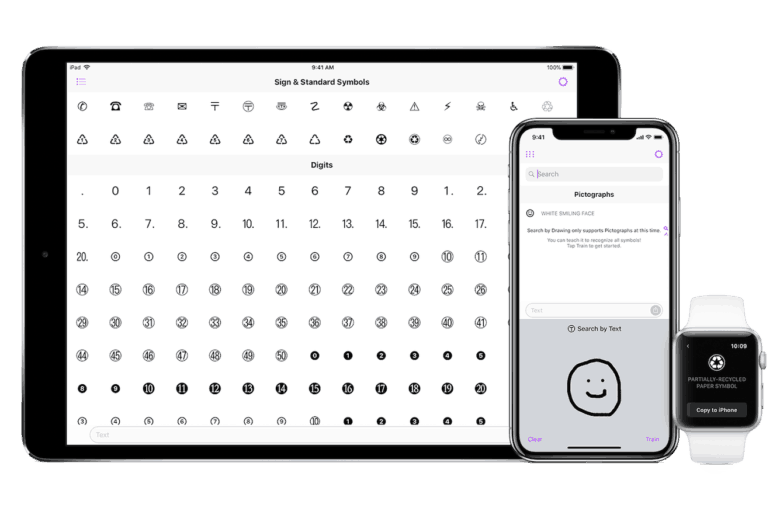 One is to fire up the app and scroll through page after page of symbols, before tapping it to insert it into an in-app text field, or long-pressing to copy it to your clipboard (as a symbol, as a Unicode code, or as HTML). You can also search for a symbol using a standard search box, and typing in the name, or a description of the symbol you want. Or you can enable the UniChar keyboard to use in any app, calling it up whenever you need a symbol. Or you can use the included iMessage app to add Unicode-style stickers to your messages. But the most fun way to find a symbol is to Search by Drawing. This feature puts a panel on screen, and you draw the symbol you’re looking for. Search by Drawing is in beta, so it only matches pictograms right now, like the umbrella in my example, but you can help out by training the app to recognize more symbols using the training mode. And finally, you can activate a Today widget that lists your most-recently used symbols. You can copy any of them to the clipboard just by tapping. 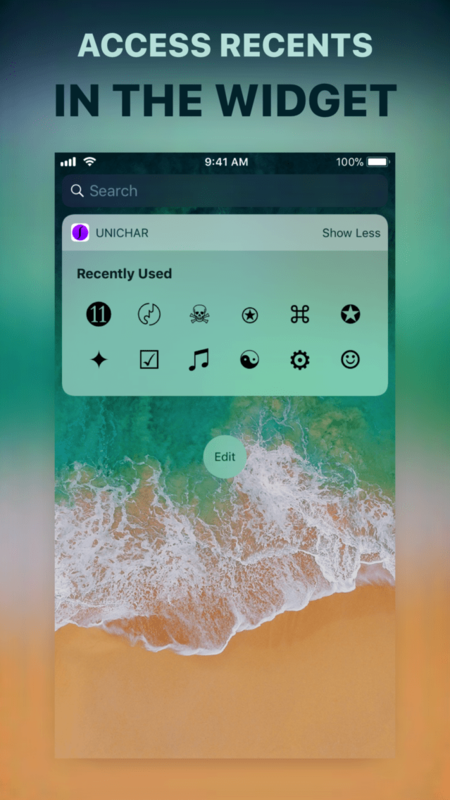 UniChar is free, with a $3 in-app purchase to unlock all of its features. The app is quite functional in its free state, so it’s worth a look even if you’re not a big Unicode user.